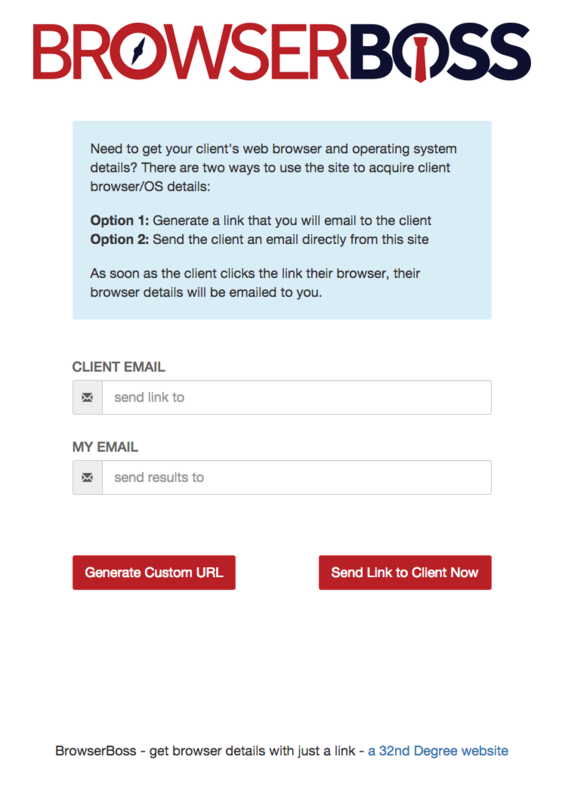 BrowserBoss allows developers to send clients a custom link in order to automatically gather the client’s browser details. Use BrowserBoss to generate a custom URL. Send the URL to the client. When the client clicks the link the client’s browser and OS details are email to you, instantly.